Frontier déploie aujourd'hui la mise à jour 1.5.02 pour Elite Dangerous sur Xbox One. Un bon gros patch de 2 Go qui devrait régler pas mal de choses et ajouter un petit peu de contenu en attendant la 1.6. Ci-dessous, vous pourrez lire l'intégralité de ce dernier. On remarquera l'arrivée des paintjobs, des Bobbleheads et de nouveaux succès. 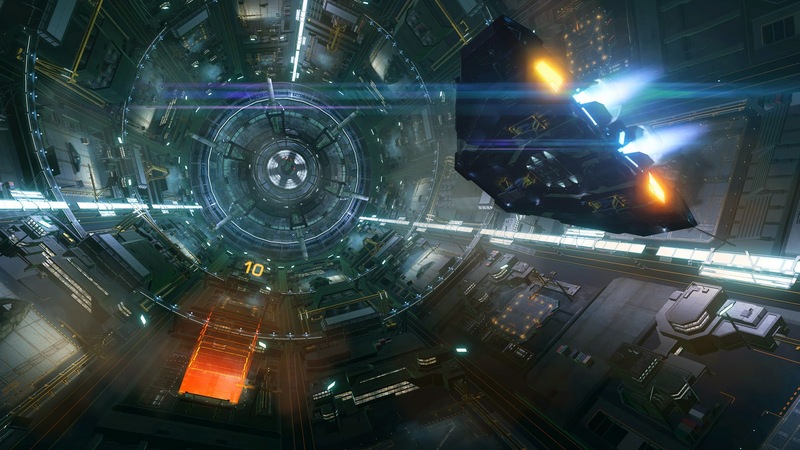 En outre, le mode CQC ou Arena sera désormais achetable séparément ou avec Elite Dangerous en forme de Bundle. Les joueurs pourront jouer ensemble au CQC peut importe la version. - In Game Store added to allow the purchase of Game Extras, such as Paintjobs and Bobbleheads. Use Frontier Points available from the Xbox Store to purchase in game Extras. - Don't crash if an invalid preset is selected in bindings. - Fixed a crash in trail rendering. - Prevent a crash if closing bulletin board while the page is updating. - Fixed a prospecting drone crash. - Fixed a render crash with asteroid cluster. - Fixed a crash from NPC launching. - Zooming into a discovered planet surface map and zooming out will show all unknown planets - fixed. - Rebalanced the ice field lighting in the CQC map. - Fix some names in local trading report news articles. - Fix for network object ID exhaustion. - Fixed some missing Powerplay translations. - Fix a crash in system simulation for "Sidgoe LX-S c17-0"
- Change the default number of items per page in Exploration selling from 20 to 50 following from server-side optimisations. - When purchasing exploration data, Universal Cartographics is now able to include details on all bodies in a system. - Fixed a number of star systems with stuck controlling minor factions. - Fixed some metadata mismatches causing server errors. - Fixed a server crash if a star system is being accessed while being deleted. - Change to allow scenario spawning to fall back to stations as centre-bodies when the system has a population with no planets. Allows such systems to have conflict zones and for players to influence that war."